When you need to convert video files there are lots of options. As with audio, video formats contain both container files and codecs, which in layman’s terms means that not all video files are equal (two seemingly identical AVI files could actually be very different depending on the codec used in each). What you need to use depends on the destination device or player and the size of the file. You also want to consider the quality of your converted video. 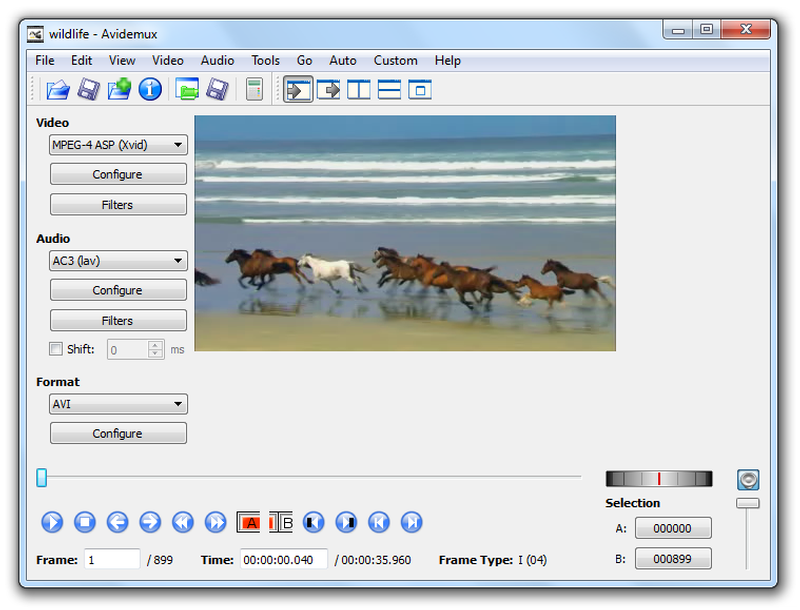 Avidemux is a useful application for video conversion and cropping, resizing and processing video. It’s a cross-platform clone of the earlier VirtualDub, but, unlike its predecessor, the program is still actively maintained. The program works on the principle of taking a source video file, then selecting the output codecs and size and then applying filters to the output file. You can apply basic editing to remove unwanted parts of the video. Filters are available to resize, flip or crop the picture. There’s even one you can use to disguise an on screen logo. It can’t recreate the parts of the picture obscured by the logo, but it blends it with the adjacent colours in the image, making it a lot less noticeable. You can preview the picture in before and after snapshots before processing it. A common conversion might be from the large MPEG2 files of DVD quality video (stored on the disc as VOB files) to AVI format using the XVID codec. This reduces the file size with little loss in quality. To further reduce the size you might consider changing the video’s screen size too – it’s all possible with Avidemux. The program isn’t the most straightforward to use, but there is an online wiki with a number of tutorials and guides you can follow should you struggle to get to grips with it.